Wille & the Bandits have established themselves as pioneers of the UK roots-rock scene and are beginning to make waves around the globe thanks to their distinctive, organic vibe and rock ‘n’ roll gusto. This April they will release their US debut single for the song “One Way,” with a full album and US tour to follow later this summer. The band features Wille Edwards on lead vocals, electric and acoustic guitars, electric lap steel, dobro, Matt Brooks on bass and backing vocals, Andrew Naumann on drums, percussion and backing vocals. A classic blues-rock three-piece who are perfectly pushing the boundaries of the genre. The trio manages to encompass musical diversity and adopts the musical essence, nostalgia, and discovery of the late ’60s and ’70s as they mix Rock n’ Roll with a more modern approach. ” The group was deemed one of the Top Ten bands to see live at Glastonbury Festival by BBC Radio and now Wille & the Bandits share their Top Ten Music Festivals. The original hippie festival, that has grown to become a world class festival for the most successful acts, visited by celebrities, but still retaining the original charm of pit toilets and a lot of mud. Visited by 300,000 music lovers. Set up by artists from Berlin and held on an old Russian world war 2 airfield, it manages to capture the creative landscape of Berlin and the historical bleakness of WW2 with stages in aircraft hangers and stalls in fighter jets selling cupcakes. One of the most famous Jazz festivals which has attracted everyone from Dylan to Prince, it’s situated on a Lake Geneva with the French Alps one side and the Swiss Alps on the other; a stunning site for world class music. Holland’s biggest music festival which celebrates the world’s biggest artists. The Pinkpop Festival or PINKPOP is a large, annual music festival held at Landgraaf, Netherlands. It is usually held on the Pentecost weekend. If Pentecost falls on an early date in May, the festival is held later in June. Starting in 1970, at Burgemeester Damen Sportpark in the town of Geleen, PinkPop is the oldest and longest running annual dedicated pop and rock music festival in the world. A celebration of Reggae and Jungle music, which attracts lovers of roots from all over Europe. A world of unity, creativity & freedom, Boomtown Fair is a four-day festival set in the Matterley bowl in Hampshire, UK on the second weekend of August. Now heading into its 11th chapter, Boomtown fuses a diverse line-up of underground and global music with boundary pushing immersive art, theatre and performance to create a living, breathing, fictitious city. 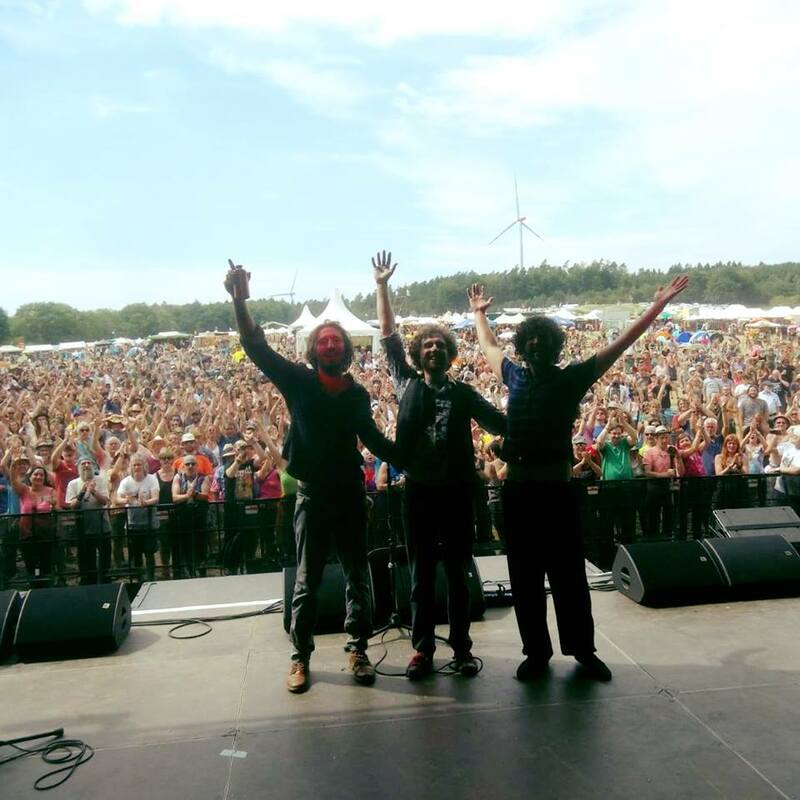 The festival was set up by the Levellers and celebrates the art and culture of the west country of the UK, which has always been a heartland for community and anti-establishment movements while retaining its rural charm. Very family friendly. Takes place in August at Escot Park, near Ottery St Mary, Devon. The festival has no corporate sponsorship or branding, leading to Virtual Festivals proclaiming it “the festival that sells out… by not selling out”. One of the last real hippie festivals left in Europe, a real celebration of freedom and expression, often featuring great jam bands and musicians worldwide, expect to see a colourful scene, many naked people and jazzed up vehicles. A quaint little town in the Ardenne region of Belgium which is famous for the WWI battles that were re-enacted in the Band of Brothers TV series, it hosts one of Belgium’s oldest jazz festivals on a working farm. Set up by folk band Fairport Convention, the festival takes over a typical English village (with thatched cottages and a canal) with music in all the pubs and village greens as well as a 50,000-capacity main stage which has hosted everyone from Alice Cooper to Van Morrison. A 5-day festival, situated on 3 beaches in Spain, famous for bands playing from 5pm till 8am in the morning overlooking the beautiful Mediterranean Sea.